Teawith is an electric kettle that you will never be bored with, even if you have seen it a hundred times. It is clear that the designer is a person who loves to drink tea and is familiar with how to enjoy life. The shape of the electric kettle is very simple but modern. From the processing of many details it can be seen that progressive prototypes have been repeatedly tried until the present version was produced. The kettle's silhouette is simple, the proportions cannot be faulted, and it is very graceful and comfortable. The switch operation and experience of using it were all very accurate, and the movements of every single operation were designed in advance. Therefore, anyone who has this teapot will feel in the same way that he or she has started a kind of use ceremony. The cylindrical teapot on top of a square heating base is very well matched and creates an oriental atmosphere. In other words, the design of this tea pot can impress and motivate even those people who do not drink tea to feel like they want to start drinking tea. In my opinion, being beautiful, concise and accurate were the key points that resulted in a win for this electric kettle. 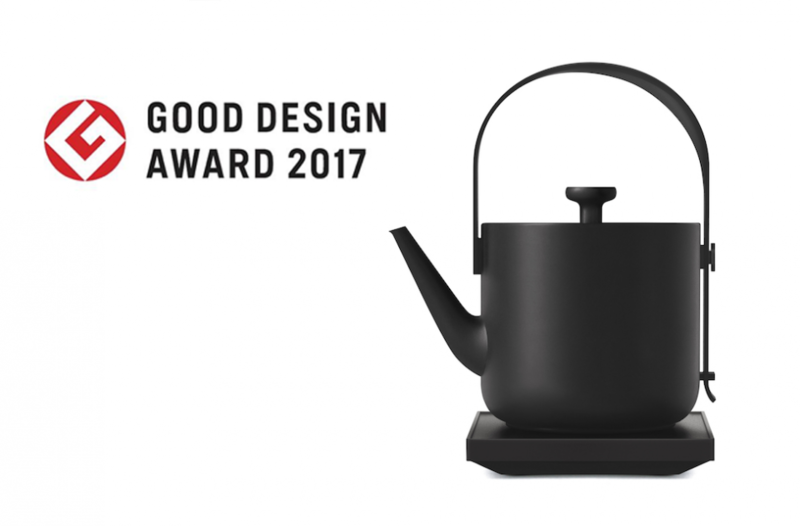 由UDL负责产品设计的VINCI Smart Hearable与Google OnHub、Oculus Rift等共同赢得Good Design Award，祝贺VINCI!